Kidney disease in dogs is unfortunately quite common. That's because dogs regularly come into contact with any number of toxins, both natural and man-made, that can lead directly to kidney malfunction. 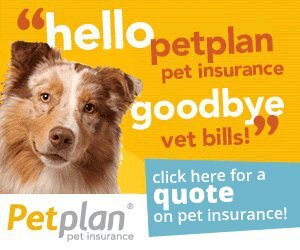 Because kidney problems that are not properly treated can be fatal, it is absolutely essential that you get your pet to the veterinarian at the first sign of any problem. The sooner treatment begins, the better the chances of recovery. As in humans, a dog's kidneys act as natural filters, helping to rid the body of built up waste in the form of urine and balancing the normal concentrations of salt and water in the body. They control blood pressure, aid in metabolizing calcium and help to sustain proper phosphorus levels. When dog kidney disease occurs, toxins can build up in the body causing severe illness and even death from renal failure. There are two types of kidney disease in dogs: acute and chronic. Chronic kidney disease develops over a lengthy period of time and can be connected to an underlying medical condition or a congenital or hereditary condition. It occurs most frequently in older dogs, though it can develop at any age. One of the most common causes of chronic kidney disease is bacterial buildup from dental disease. Bacteria that enter the body through the teeth and gums can work their way to the kidneys and other organs, causing a host of problems. 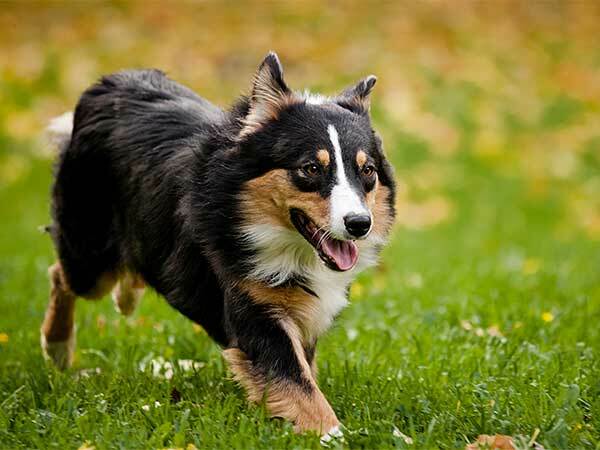 As active as Australian Shepherds are they come into contact with a lot of things in their environment, including toxins, that can cause dog kidney disease. On the other hand, acute kidney disease develops more suddenly and is usually the result of ingesting some sort of toxin. This form of dog kidney disease is more common among active breeds such as the Australian Shepherd that spend a lot of time outdoors and can have a lot of exposure to potential sources of toxins including antifreeze, insecticide or even tainted food. This type of acute disease can also be caused by infection or urinary obstruction as well as reduced oxygen or blood flow to the kidneys. Kidney disease in dogs can have many different symptoms, including a change in water consumption and urine output, depression, loss of appetite, bad breath, vomiting, weight loss, blood in the urine, pale gums and stumbling or acting drunk. Again, these symptoms can be more pronounced in normally energetic and active Australian Shepherds but can be present in any breed. If you suspect that your pet may be suffering from dog kidney disease, you should get him to the vet as soon as possible for a proper diagnosis. Once a diagnosis is made, your vet can recommend treatment, which may include drugs to encourage urine production, careful management of electrolyte levels, fluid therapy and dietary management. In more serious cases, dialysis may become necessary. There are some steps you can take to help prevent kidney disease in dogs. These include maintaining proper oral health and, especially for active breeds or dogs that spend a lot of time outdoors, ensuring that they are supervised at all times so that they can't get into any potentially toxic substances. Within the home, you should never treat your dog with medication except under a vet's orders and you should keep any human medicines out of reach. Kidney disease can be frightening but there is no reason why you or your dog should have to experience this kind of trauma. Take the necessary precautions and be aware of any changes in your dog's behavior. Also, make sure you get treatment as quickly as possible and you can help to ward off the dangers of kidney malfunction.